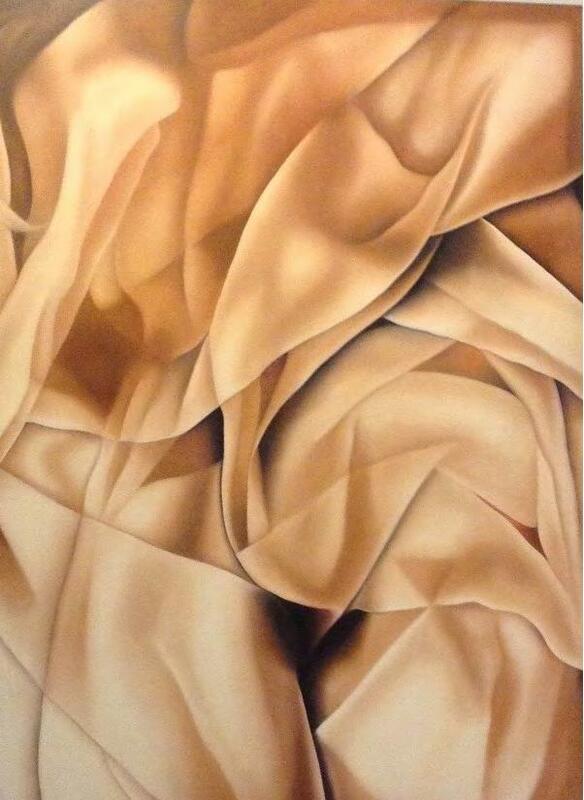 Enlarged folds and creases float mysteriously in a palette of flesh tones with no traces of ends or beginnings, seducing the viewers to fall into a world of fantasy in the creator’s mind. This is what you would experience when you look at the large paintings by Iranian artist, Mehrdad Sadri. But what is behind the folds? It is a key question in our mind. 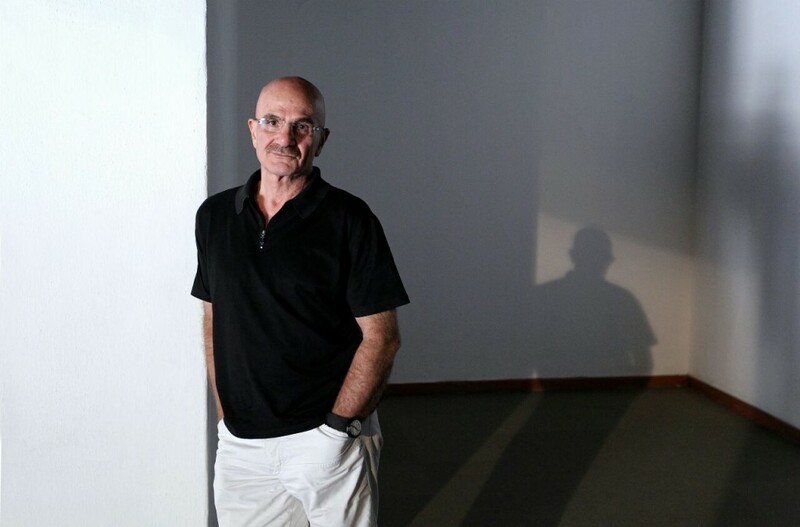 We are delighted to conduct an exclusive interview with Sadri, whom has resided in Vienna since 1968, discussing the ideas behind his work and how Persian culture influences his view of the world. “There is a very strong cultural relation between me and my art,” states the artist. As Islamic art is mostly based on geometrical forms derived from nature, Sadri extracts folds from its everyday triviality, and uses them as a tool which symbolises a spiritual transcendence of materiality over the years. “In Islam, it’s not acceptable to draw images of what God has created. It’s even more sensitive to draw images of the human “ the artist infers. 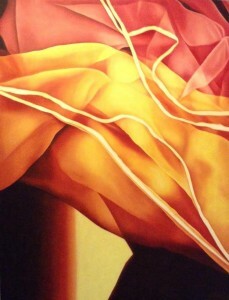 Sadri’s paintings are distinguishable through such abstract depiction, here, he metamorphoses the human physiognomies. “It’s more interesting to show the beauty of the human body indirectly, as it lets viewers discover what’s hidden behind the folds without constraining their interpretations of the work”. Persian language and literature have also been a source of inspiration for the artist. “One word can carry different meanings which the reader can decide from the written text,” he explains. To explain, the word ‘Yaar’ can be used to describe a friend, a lover or even God. Sadri’s intention to show ambiguity encourages open interpretation of his canvases. Sadri proffers “Eroticism and sexuality are big parts of my art,” The fortuitous falls of folds in his paintings are metaphors for the natural forces of generation and change, the human physiognomies, and most importantly, the relation between the object worlds produced by human and his state of mind.”The folds are tools to tell the truth, but not the absolute truth”. Combining elements of his Iranian heritage and cultural background with western abstraction, Mehrdad has successfully incorporated daily triviality into his own language which opens his inner most world. The reality is concealed beneath the surface of the folds. The spatial illusions of the folds allude to human figures in infinity, which are the embodiment of desires, dreams and wishes from the artist’s subconscious mind. The truth resists simplicity. Mehrdad Sadri’s Hong Kong debut solo exhibition ‘Images of Reality’ will open at Galerie Huit on 12 May. Please click here for more information.